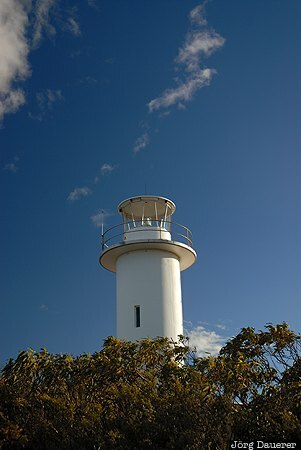 The Lighthouse at Cape Tourville in front of a blue sky with some clouds. Cape Tourville is in Freycinet National Park in the south east of the island Tasmania, Australia. This photo was taken in the afternoon of a sunny day in March of 2007. This photo was taken with a digital camera.